PRAYER PROMPT ••• As much as I love to read, with a few exceptions, I’m not a fan of poetry. But from my short list of exceptions, Edgar Allan Poe’s “The Raven” is my favorite. Arguably Poe’s most famous work, most of us are familiar with the depressing “Nevermore,” the raven says over and over as the narrator speculates on his grief of Lenore and grows more and more agitated by despair. It’s a dark poem, without hope, but beautifully written. Thank goodness this is only a poem. Thanks to Jesus and His victory over death, we can be promised a reunion with our loved ones who accepted His gift of salvation before they died. 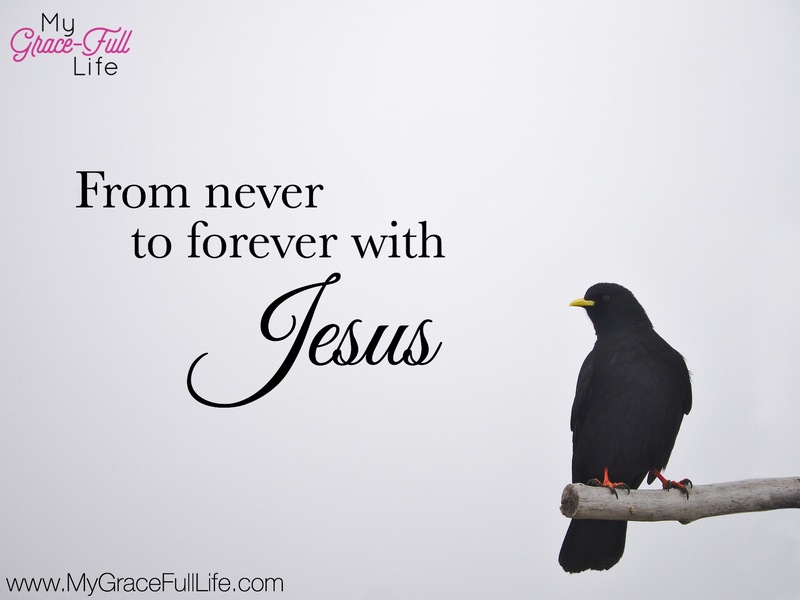 There is hope for “Forevermore!” when we know Christ as our Savior! What an amazing reunion that will be! While I’ve known and believed this truth for years (including my prodigal years), the closer I draw to God through prayer and daily Bible reading, the more I understand and appreciate the hope we are promised. For those who have accepted Christ, physical death is temporary. We have eternal life through His grace and mercy. Today, as you pray, if you are struggling with loss of a loved one, pray that God will give you peace and comfort. Pray for Him to show you His promises of hope and the “forevermore” that awaits!